Remote Distance can reach 30m. 2.4GHz 4-channel full function radio transmitter (Mode 2). High precision 6-axis gyro stabilization gives you super stable flight. Function: 3D tumbling action, up, down, left, right, forward, backward, hovering, CF mode with One Press Automatic Return. 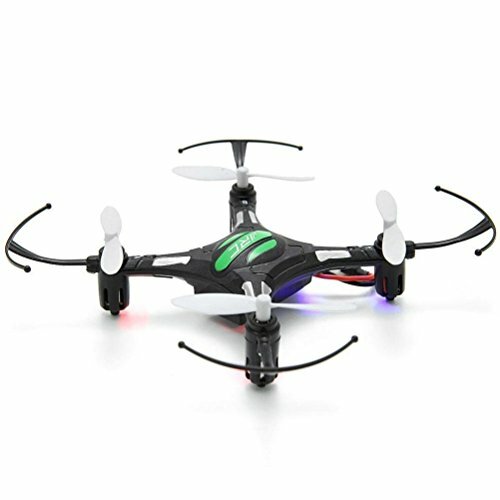 This quadcopter can perform 360 degree rotating function. Remote Distance can reach 30m.